While this is more than enough self-congratulation for one post, I do want to emphasize the collective power of the Mark’s Daily Apple community and how important it is for our movement to continue to generate mass exposure and appeal. We currently share space on the pop charts with programs that I feel are disastrously in conflict with what our genes require to be healthy. 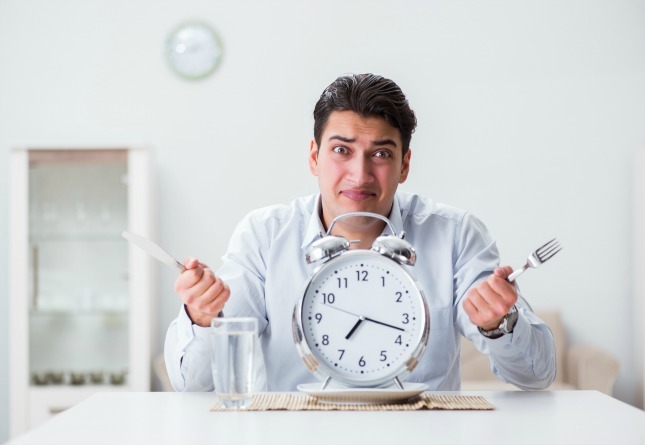 It’s time to displace the overly stressful, high-carb, high-intensity, high-stress diet and exercise programs with lifestyle practices that are healthy and sustainable – not just for the hard-core folks, but everyone balancing the responsibilities of hectic daily life. In pursuit of my modest goal of taking over the diet, exercise, weight loss and health industries, my team and I have several ambitious endeavors in the works for 2010. These are the things you’ve been asking for, and now they’re on the verge of being released. As always, I sincerely appreciate your comments and suggestions to help me deliver the best possible support, educational material, services and products to you. Thanks in advance for your feedback! You likely have heard about PrimalCon, the 3-day Primal health and fitness retreat on April 23-25 at a seaside resort in Southern California. The Primal Blueprint team and I are eagerly looking forward to a fantastic retreat weekend, our first-ever live gathering of Primal enthusiasts. We understand that budget and logistics make coming to Oxnard difficult to swing, and we want to do the best we can to welcome all interested participants. Along those lines, we are offering a registration discount to full-time students. In fairness to all, we will assert strict qualifying standards and handle requests on an individual basis. Please email to inquire. For lodging, those on a budget can consider the spectacular McGrath State Beach campground (805-654-4744), only 3.7 miles up the coast from the Embassy Suites Mandalay Beach resort/conference headquarters. Also, we also encourage you to post on the PrimalCon forum if you are interested in sharing a suite at the Mandalay Beach and/or transportation from the airport with someone else. These options, coupled with advance purchase flights available now from airlines like Southwest (amazing Internet-only specials) can get the cost of your once-in-a-lifetime weekend experience down into a very affordable range. One final note on PrimalCon: All rooms at Mandalay Beach – including the least expensive rooms (only $149/night) – are limited, so book now to secure your preferred room. We are nearing completion of a comprehensive 30-day, step-by-step program to help you reduce excess body fat quickly, safely and effortlessly. Almost as soon as the Primal Blueprint was published, it became clear that there was a strong demand for a companion program that could leverage the principles of the Primal Blueprint into a focused weight loss effort. I can’t tell you how many times I’ve heard the comment, “Hey Mark, great book. I’m ready to go Primal. So….what do I do?” The Primal Leap offers a complete package of support materials, the centerpiece being a detailed Primal Leap Guidebook/Journal that contains action items and extensive journal exercises each week in the areas of diet, exercise and lifestyle. If you want to be told exactly what to do to achieve weight loss and to kick start your Primal life this package is for you. An extensive presentation of all ten laws and other topics from the book in a lively video format. 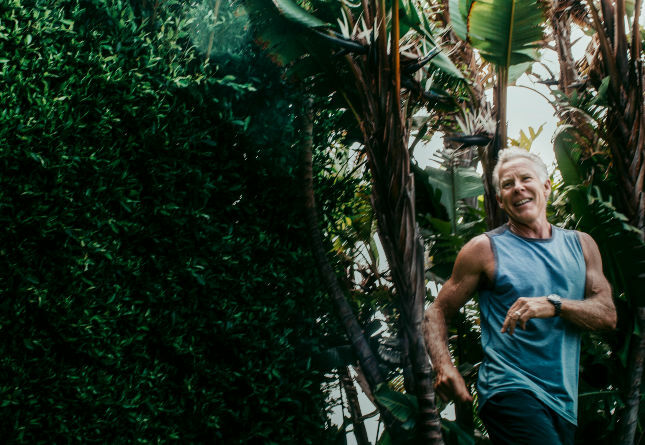 It’s me on-location in the kitchen, at the grocery store, on the beach and in the studio offering up practical tips and teaching the Primal Blueprint lifestyle behaviors. I narrate a carefully abridged version of the print book, so you can listen on-the-go. 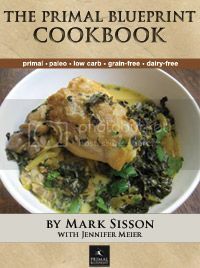 A 250+ page hardcover book filled with 100+ dairy-free, gluten-free, low-carb, Primal recipes presented in full color photos. I know that this long-awaited addition to Primal Blueprint publications has been at the top of many of your wish lists. It’s nearing completion and I can confidently say that it will be worth the wait. You’ll have an opportunity to get a free, digital preview of the book, including 5 of the most mouth-watering Primal recipes, on March 17 (and March 17 only), so check back. 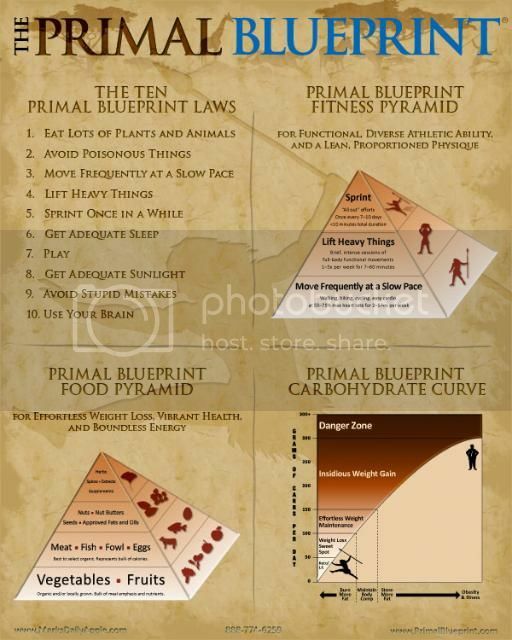 A large 24×30 inch poster that beautifully illustrates the core Primal Blueprint fitness, diet and lifestyle behavior with the 10 Laws, the Primal Blueprint Fitness Pyramid, Food Pyramid and Carbohydrate Curve. Hang it in your garage, your rec room or anywhere else to keep you inspired and on track. All this and other support material will be part of the Primal Leap package. 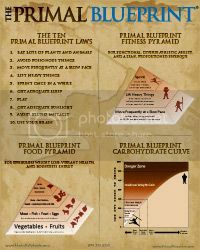 We believe that the Primal Leap will give you the highly specific, practical guidance you need to drop between four and eight pounds of body fat in 30 days, without any struggling, suffering, or rebound effect risks that are inherent in the traditional weight loss approach, and will put you on the right track for optimum health for life. Furthermore, we will offer a one-on-one email/telephone support package if you have personal needs beyond the scope of the program kit. With our fitness philosophy well-defined in the form of the three Primal Blueprint exercise laws (Move Frequently at a Slow Pace, Lift Heavy Things and Sprint Once in a While) detailed in the book, we are developing a comprehensive workout system that we believe will fill an important niche for fitness enthusiasts looking for simple, time-efficient workouts that scale to all levels of ability. While there are many fantastic fitness options available today (e.g. 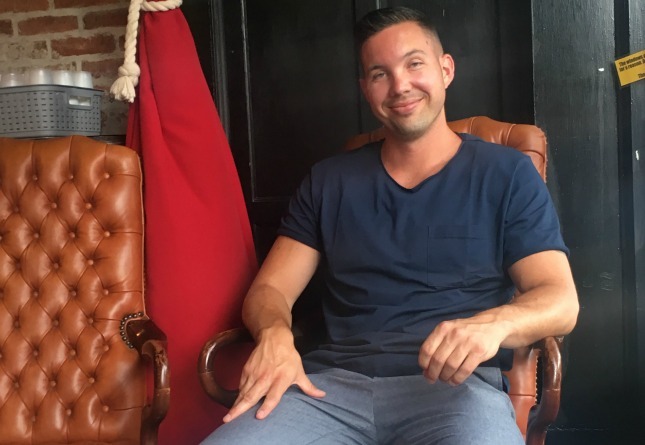 – regular readers are familiar with my support of the Crossfit movement, and I am personally a devoted gym-goer – although more for social reasons than equipment requirements), we believe that the Primal Blueprint Fitness (PBF) movement will be very well received by a broad audience. The program will focus on the smooth integration of workouts from each of the three Primal Blueprint exercise laws into a stress-balanced weekly routine that is fun, non-intimidating, logistically simple, easy to learn even for beginners and challenging enough to satisfy even the supremely fit. We are currently putting the finishing touches on a free Primal Blueprint Fitness eBook which we will make available for download at MDA. We are also working with a team of hand-picked consultants to carefully define the parameters, core movements and adaptations, and schedule structure, and are planning a release of a comprehensive DVD workout series to accompany PBF. The DVD presentations will be organized for specialized fitness interests, equipment specifications, and of course ability levels. We are nearing the release of a top-secret nutritional supplement kit that will appeal to even the most hard-core Primal enthusiasts. Code name: Soil, Sun & Oil, this unique product directly addresses the deficiencies and health risks that come from living in today’s world, even when you make a valiant effort to live Primally. Hint: decipher the code name and you might come up with Probiotics, Vitamin D, Omega-3s – three critical nutrients that align directly with the Primal Blueprint laws and are difficult to obtain at optimal levels in today’s world. My hopes are that all these things combined provide you with the tools and support you need to go Primal. Let me know what you think and Grok on! holy jiminy crickets! this is the greatest day of my life. this post is full of pure awesome and i can’t wait until all of this goodness is available. YEA!!!!! Cookbook!!!!! After I went Primal I got rid of my South Beach Diet Cookbook, Eat Clean Diet Cookbook, Eat For Life Cookbook. I have to move my laptop back and forth from the bedroom to the kitchen so I can cook from the recipes onscreen thereby saving paper and not needing to figure out how to organize the recipes, who has time for that! May we fast forward to March 17 please? I want that cookbook now! Every recipe you recommend here at MDA I print out. I have tried several and every single one has been incredibly amazing. And, my family loves it too! Are all the things included in the Primal Leap package going to be offered separately as well? The Cookbook won’t be available for sale on the 17th. If you buy The Primal Blueprint on Amazon on that day you’ll get a digital preview version of the book. If you buy 5 on that day you’ll get a free, advanced, signed copy when it comes out. We’re nearing completion on the Cookbook and it should be off to the press soon. The Guidebook and likely some other support materials (not listed above) won’t be sold separately. Everything else likely will be. I think this sums it up perfectly! woohoo! WOW I am soooo excited! Can’t wait! Will it all be available in Australia on the same day? One word…FANTASTIC!! I cannot wait for this. I second the vote for San Diego next time! Already have it on my calendar to purchase the book on the 17th. Looking forward to it. Had a friend buy the book last week and he is getting a lot out of it. I WANT THAT COOKBOOK!! And I need it, because I just threw all my other carb-loaded ones away. All I have is a pathetic binder full of printed out pages. I want it! NOW NOW NOW! Is this going to be an awesome spring or what!! Fantatic news Mark…indeed you MAY actually take over the H, N & F industries…A world full of Primal people…COOL! Wow – I’ve got the hairs on the back of my neck standing up. What awesome tools! It’s great to be part of this community as/is, but to have additional and innovative tools coming, that is more than the icing on the cake (or should I say the cream on top of the berries?). I’ve got my credit card out – just say when the trigger gets pulled here! As a newbie to the whole Primal Blueprint thing (5 days), so far it seems to be a good thing. PrimalCon sounds like a good time, but I’m sort of stuck in Afghanistan right now. Maybe next year! Good luck in Afghanistan and thank you for your service to the good old USA and the world! So excited! I already have the hard-copy version of The PB- but I have been kicking around the idea of buying copies for friends, and a Kindle version pour moi. I will have to wait until the 17th! Looking forward to all the peripheral materials, too- this is fantastic news! Just found your site a few days ago and bought the digital book yesterday. Can’t wait for the package. Brilliant! These are all great ideas! Congrats Mark, you are leading the charge. Looking forward to the gluten free cookbook! The reason the Primal lifestyle is catching on is because it is effective, intuitive and fun. The reason your website is so popular is because it totally rocks! Your posts are so well-researched, approachable, friendly and community-building. There are tons of blog about health, but this is one of three I read regularly. The Primal Leap package sounds amazing. I just recently convinced my husband that maybe there is something to this whole low-carb thing after all, so maybe the Primal Leap would be a good present. Wow! Great ideas! Looks like this will be a big year. Especially looking forward to the Cookbook and the DVDs. Mark – because of you, I’m doing my part to spread the word. I see through different nutritional and fitness lenses now and that all started with you, MDA, your reading recommendations and P90X. Thank you. Love it. You and the Worker Bees have been busy! Not everybody knows how to use a “blueprint”. Your instructional manual will help many millions of people take control and get healthier! Looking forward to everything outlined. Thanks for all the kind words, support and excitement, everyone! It’s very nice to hear that all the work the Worker Bees and I are doing is appreciated. Grok on! Great ideas, Mark. I can hardly wait for everything to be available. Exciting stuff. Wow! This is why I’ve been waiting for — to have it all spelled out for me. cant wait to see this, good work mark! So great! I love it! I can’t wait to get the cookbook. Looking forward to the release of all these goodies!! Question though; wIll the primal supplements vary greatly from the Damage Control Master Formula and Vital Omegas already on offer? The Vital Omegas won’t change in any way and will be one of the three components of the PB essentials pack along with Vitamin D and a PB probiotic formula. A slightly modified version of Damage Control Master Formula is in the works but won’t be part of the triad. If you’re already getting Master Formula and Vital Omegas there will likely be a special add-on offer for the probiotics. The Master Formula doesn’t contain probiotics, but does contain Vitamin D.
This is great. I was hoping a cookbook would come out. Perfect!!! Awesome news! Very exciting and what a go getter you are Mark! Thanks for simplifying and guiding my primal life. I hope the cookbook will be sold separately for those that may not need the planner/journal/audio book. Yep, the cookbook will be sold separately. Holy cow, Mark, this is fantastic stuff. Very well done! I know from my own experience that the Primal Blueprint could revolutionize all the industries you described. May Grok cover the earth! The 30-day program might be the biggest driver. Once a person has been fully primal for a month and felt the effects, the chances of regressing are slim to none. And Slim got eaten by a cave bear. My favorite item is the poster. I was going to make one of my own but you saved me the trouble! I only wish the image were higher-res. I hope the glossy 24×30 will be available separately. Yep, the poster will be available separately. Check back after March 17 for the official release. For now at least the Guidebook and likely some other support material (listed above or otherwise) won’t be available separate from the Primal Leap package. Woohoo! Way to go, Mark! Can’t wait. I definitely want that poster to hang in my classroom! I cant wait for the cook book. YAY Mark you made my day. Thank you for all your hard work. AMAZING! This is so perfect – I’ve been primal for over a year now, and have convinced my closest loved ones this is the right way to live – but have NOT convinced them of exactly how to do it yet. All of these tools will make it so much easier, for them, and for me! Thank you! Mark and the Worker Bees rock. Thank you for improving so many lives. I want the Cookbook and the Poster, I want to put that poster right on my fridge! All I can say is…thank you Mark, for doing what you do. Yes, Mark – thank you again for doing what you do. You have changed my life with your wisdom. Now I too can help spread the word to family and friends with these great tools that you are developing. YEAH!!! I have just decided to get the book and now this!? One word, awesome! Mark, thank you so much for your hard work and progress toward all of these products. I can’t wait. i’ve been looking forward to the cookbook, so thank you mark. i can’t wait to taste those recipes. I cant wait to get the cookbook for the simple reason that there is no worthy gluten, dairy, and high carbs meal free books around. This is amazing news! I finally convinced my boyfriend to give PrimalBlueprint a 30-day shot but he’s still so clueless as to what he should and should not eat to see the results. I think this package would be just what he needs to get him up to speed. Some people just hate reading books and no matter how often I stick a PB copy in his nose, he will not read it. He listens to me but I’m not as organized as I think this package will be. I’m especially excited about the DVD. Great stuff, Mark. Congratulations on such action-packed year plan. 2 weeks seems soooo far away…Can’t wait. Been reading MDA for years (found through Crossfit in the early days) while watching this movement grow and grow. It’s really getting into the mainstream these days. I’m doing my part to spread it here in NYC. We’ve got a whole community of people at Old School Fitness NYC getting primal. Thanks for simplifying everything and these new products will make the change to primal even easier for folks. This is so awesome! I keep falling off the Primal wagon even though I’ve read the book and tons of supporting research–I WANT to be Primal. But I’m pulled in a million directions and it’s been so hard to give myself time to figure it all out and make my own plan. This will be a life-saver, literally and figuratively. Thank you Mark! I´m sooo happy to read this post. Can´t wait for the Primal Leap and the Cookbook to be out!!! Man I wish I had the money go to PrimalCon. How many open spots are there for Primal Con? I really want to go and may decide to go if there are open spots in 2-4 weeks. Can’t wait for the cookbook. Just got The Primal Blueprint in the mail on Friday and have actually been eating mostly primal for the last 3 weeks. I feel so much better than I did a month ago and I’ve definitely lost some weight. Amazing! Keep up the fantastic work! Mark, sounds like you and the worker bees have been really busy!!! I was hoping that the recipe requests would turn into a cookbook! Can’t wait!!! You continue to talk about losing weight… what about GAINING weight? Today I weighed in at 132.8 and I am 5’9″. I eat a lot (more than my 180 lb. father who has a stable weight) but have trouble gaining weight. Thanks Mark! Both articles are printing now and I found another one, Pondering Protein, that should really help! I can’t wait to buy the book on March 17! 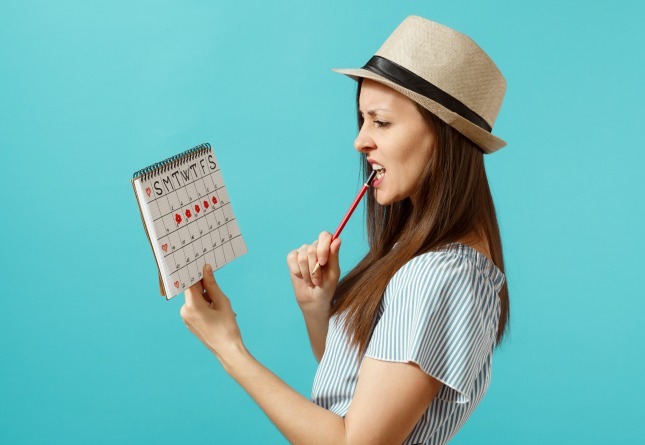 Will there be a 30-day Weight Gain plan in the workbook as well? Woody – That won’t be the focus of the Primal Leap package per se, but the Primal Leap package is actually much more than just about weight loss. It will give users the tools they need to jump into the Primal Lifestyle. As such one could certainly use the principles therein to change lifestyle behaviors to gain weight an build muscle. I am excited to see these new additions to the PB. Especially looking forward to the cookbook. I dig making the recipes I have found on MDA and enjoy variations and combination’s of them. You are leading quite a movement and I commend you on your entrepreneurial spirit. Let me know when you want to shoot your PB video on bagging your own wild game with a bow and arrow, I will be happy to host the shoot. Marked my calender for the 17th. Getting a copy for my sister. Can’t wait. Exciting news Mark. I cannot wait. I have the book, my Grok shirts are on their way and now this??!! I’m so excited, I can’t even articulate it. My calender is marked for March 17th-free download day. I hope the cover of the cookbook is that exact picture because you’ll definitely sell alot of them. That chicken dish looks absolutely to die for. Thank you so much, Mark. My $100 will be well spent. Awesome! At the rate I’m spreading the word here in Scotland there is definitely a market for a PrimalCon over in the UK! Will the Cookbook be available through Amazon UK like Primal Blueprint is currently? THANKS MARK!!!!! I am truly looking forward to getting my hands onto this wonderfully complete package. Amazing stuff Mark. I’m really excited about the cookbook. I’m really hoping that there are some things in there that are not available on the website, as I think i’ve printed out all of them that my wife and i are interested in. Either way, it will be a great tool for helping our friends get primal. People always respond better to visual aids, and black and white print-outs don’t cut it. To be clear, The Primal Blueprint Cookbook mentioned in this article is completely separate from the Primal Blueprint Cookbook Challenge in which blog readers send in their Primal recipes to be published on MDA. None of the recipes on the site will be featured in the hardcover print book; they’ll all be unique. We do our best to bring the best Primal recipes anywhere on the net to MDA each week, but I’ve got to say that the recipes and photos in this cookbook are a cut above anything we’ve done here on MDA. I’ve been working with a professional chef, Jennifer Meier, on this project, and I’ve been blown away by how it has all come together. I couldn’t be more pleased. Cannot wait for my primal leap package!!!!! HURRY UP! SO excited for the cookbook. My husband loves ALL the recipes you post, and especially since whole foods has gone vegetarian it’s harder to find good MEATY recipes 🙂 This is really great Mark… thank you! I am lookin forward to the updates! Could you send me a larger image of the poster please? Mark – this is great to hear. I am sat here eating my half a roast chicken (skin and all) and very much looking forward to the Primal Leap to further kick start my healthy lifestyle. Thanks… keep it coming. Very, very, very good news… I’ll be ansiously for these goodies! Mark, I want you to know that I am so grateful for your blog and book. I have not felt this good since I was in jr. high. You have changed my life and when it comes down to it, I would hve paid anything for that! Great Mark. I hope you consider distribution via Amazon.uk.com, right from the beginning. The PB book took more than 8 months to appear in Amazon uk. As a log time follower of this blog (over two years, daily addiction, since the early days of the little icon of Mark with an apple), I can’t stop admiring what was done here. Mark, you’ve influenced my life, and apparently the lives of many others, turned them into better and healthier. I thank you for that and happy to see the business growth side by side the content growth. This is very exciting indeed! Thank you so much for everything! ^_^. absolutely great effort mark. I will probably get the PB and cookbook, more out of support than anything else as I think I ‘get’ the principles, but i think it would make a nice coffee table book to show interested friends. Can we get a “What would Grok do?” t-shirt for the lads and a “What would Groketta do?” tank for the ladies?! I have to say that I would absolutely recommend to quite a few people that I know your Primal Leap package. Just having the telephone support is a huge selling point and one that I think most people wouldnt use once they realize how easy it is to follow. Best of luck Mark, I’m rooting for you and really enjoy the message. I wish I could make it to Oxnard. Looking forward to your Primal Blueprint Fitness. Please have some tidbit in there for the elderly. (You know, those that still have the will and the ability to do some light jogging, light to medium weights and are trying their best to live a healthful, purposeful life, but are “over the hill” – 60, 70, even 80. Please don’t forget us like everyone else has. Thanks and the best of everything. Iam so looking forward to the Cookbook!! I recently purchased Primal Blueprint & Iam getting so much out of it, & doing really well switching over ,but I just feel stuck when it comes to breakfast. I miss eating toast or oatmeal! Also I hope you do another Primal Con this year in CA as Im already commited to a family vacation at that time in Florida. Thanks for all you do! primal Blueprint” went a long way toward getting me started. Can’t wait for this stuff to come available! anxiously awaiting the full program too. Good stuff! I have the book and have been primal now for 3 weeks and I feel great! Thinking about signing up for Primal Con, sounds like a great time. Thank god! A proper recipe book! Cant wait for that one. 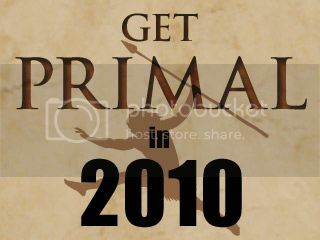 I’m waiting and waiting for the Primal Leap plan to come out! Losing weight and eating healthy is somehow the only area of my life I need clear, concise directions! Any release date yet?? Soon, please!! I’m looking forward to your cookbook and the video about the workout system. This is the age of small netbooks (that don’t come with any disc drives) and tablets and YouTube and Netflix and Hulu . Selling DVDs *only* really doesn’t make any sense. I’m willing to pay for your great info (I bought your TPB, great book) but only if you provide more purchase options. Loved this e-book and appreciate more than life you sharing it for free.